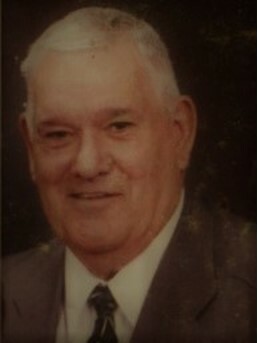 Nathan Holt Foster, 88, of Wiseman, Arkansas passed away Friday, March 22nd, 2019 at his home in Wiseman. He was born in Powhatan, Louisiana on February 10, 1931, son of the late Grace (Holt) and Milton Foster. Nate spent his life as a loving son, brother, husband, father, grandfather, friend and follower of Christ. He was united in marriage to Julie Sjothun on January 29, 1981. Nate served our country in the United States Army and worked as a elevator serviceman for Dover Elevator Company, and as a Plant Engineering Supervisor for 3M Company. He was a charter member of Cornerstone Baptist Church in Melbourne, Arkansas. Nate was happiest when he was helping people and sharing the gospel. He and Julie spent several years in Mexico as Missionaries. Nate never met a stranger and loved talking to everyone. Nate is survived by his wife, Julie Foster; daughters, Gwen Oldenettle, Janis Landon, Carolyn Knight and Pamela Bowen; sons, David Foster, Mike Foster and James Foster; 13 grandchildren; 19 great grandchildren; sisters, Jean Libby, Gail Frisbie, Mary Woodard and Ramona Lyman and brothers, Don Foster, Albert Foster, Bob Foster and James Foster. He was preceded in death by his parents, Milton and Grace Foster and two brothers, Charles and Alfred. A memorial service will be held at Cornerstone Baptist Church in Melbourne, Arkansas on Sunday, March 31, 2019 at 1:30 PM.